Genuine Tervis 16 oz. 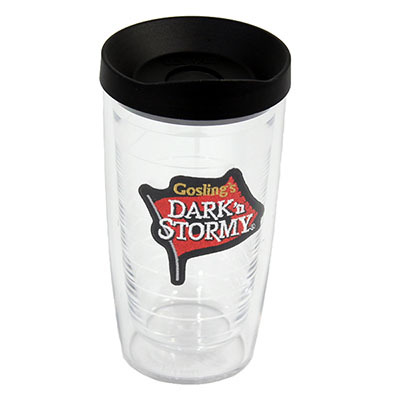 tumbler now with black Travel Lid. Virtually shatterproof, the unique double-walled construction uses the insulating properties of air to keep your drinks - hot or cold - at just the right temperature! Dishwasher safe. This tight-fitting travel lid featuring an open/close slider thats a perfect fit for anyone on the go. Dishwasher safe. The lid is not included in the Made for Life Guarantee.